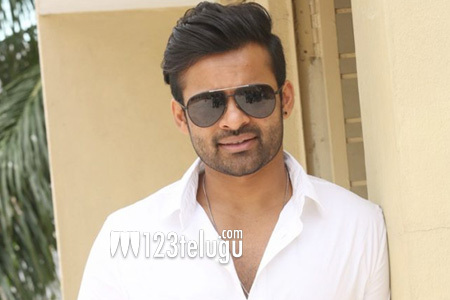 Young Mega hero Sai Dharam Tej’s upcoming romantic entertainer, Tej..I Love You, is going to hit the screens in a few weeks. Meanwhile, the actor has signed a film in Nenu Sailaja’s director Kishore Tirumala’s direction. Leading production house Mythri Movie Makers will be bankrolling the movie. We had reported earlier that the SDT-Kishore Tirumala film has been titled Chitralahari. The latest update is that the title has an interesting tagline – “Bar and Restaurant”. Both the title and the tagline succeed in raising curiosity on what the film’s story could be. Guru girl Ritika Singh and Hello beauty Kalyani Priyadarshan have been roped in as the film’s leading ladies. The film’s regular shoot will commence in July.